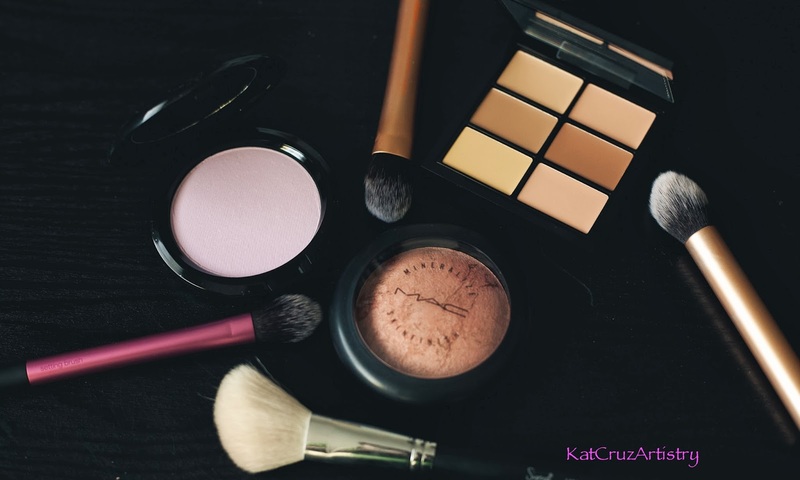 Lately, most people are into contouring, highlight, and blush. But what does it exactly do to our face? where do you apply the products? what products to use? 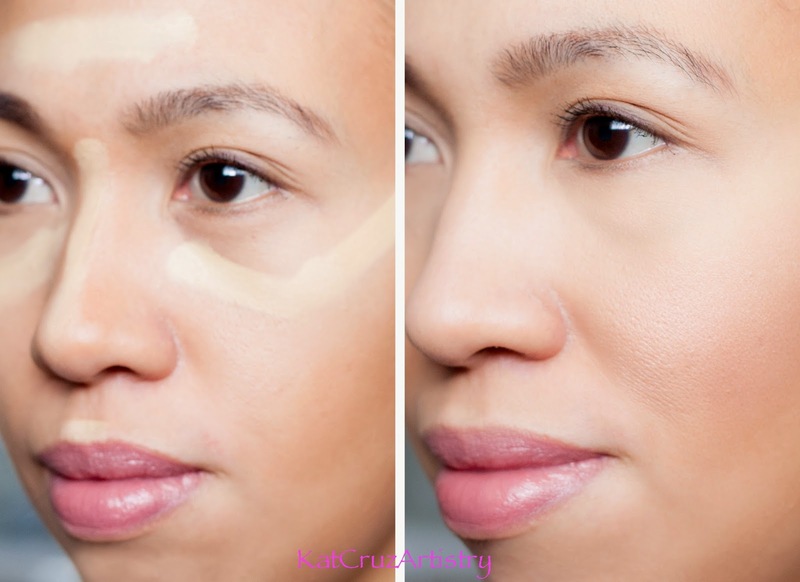 Contour: It basically adds shadow to the parts of the face that you want to recede. It also draws attention away from the features that you may not have. I have a heart shaped face so the widest part of my face is my forehead and it gets narrower from my eyes to my jaw. 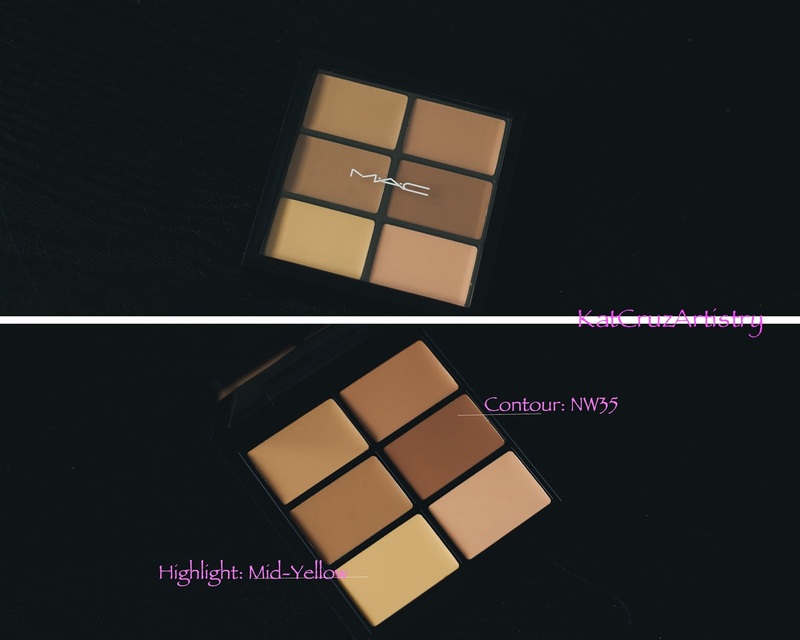 For the products that makes an appearance for those days that I want to add some dimension to my skin, I reach for my Mac Pro Conceal and Correct Palette in Medium with my Real Techniques Contour Brush, and I use the shade in NW35 which is the darkest shade in the palette. This palette is amazing because it's all in one, if you want to hide dark circles, dark spots etc. this palette does it all. If you don't have this product, you can also use a matte bronzer, foundation or a concealer that is two shades darker than your skin. Since I want my forehead narrower, I applied the NW35 on to my temples, then I sucked in my cheeks and applied it to the hallow right below my cheek bones from my ear then continue halfway to the corner of my mouth. I also applied it downward on the corner of the bridge of my nose, Blending is the key for looking natural and to avoid harsh lines. 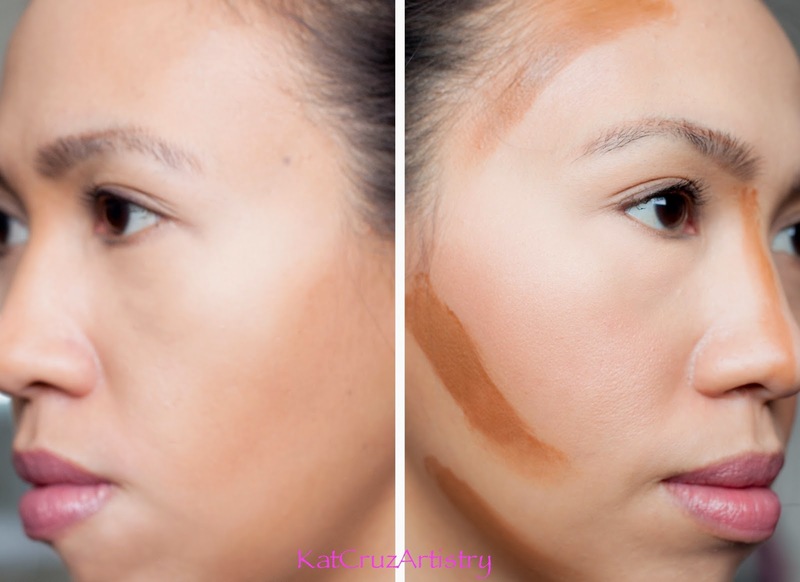 Highlight: This creates the illusion to bring your best features forward to look more prominent. Such as a fabulous cheekbones. To achieve this look, you can use a liquid or cream foundation, powder product or concealer that is two shades lighter than your skin. I still used the Mac Palette in Mid-yellow shade with a Real Techniques foundation brush. I applied it to the centre of my forehead, between my eyes and top of my cheekbones, under my brow for an extra lift and the centre of my nose applying it downward. I also set this product with a setting powder and with a Real Techniques setting brush. Here I used the Mac Prep and Prime CC in illuminate. Blush: This is to add a beautiful flush of colour to your skin, apply it to the apples of your cheeks. I used the Mac Mineralize Skinfinish in Stereo Rose with a Sigma F40. This blush has a subtle coral toned with a Gold shimmer which gives that hint of glow to the skin. 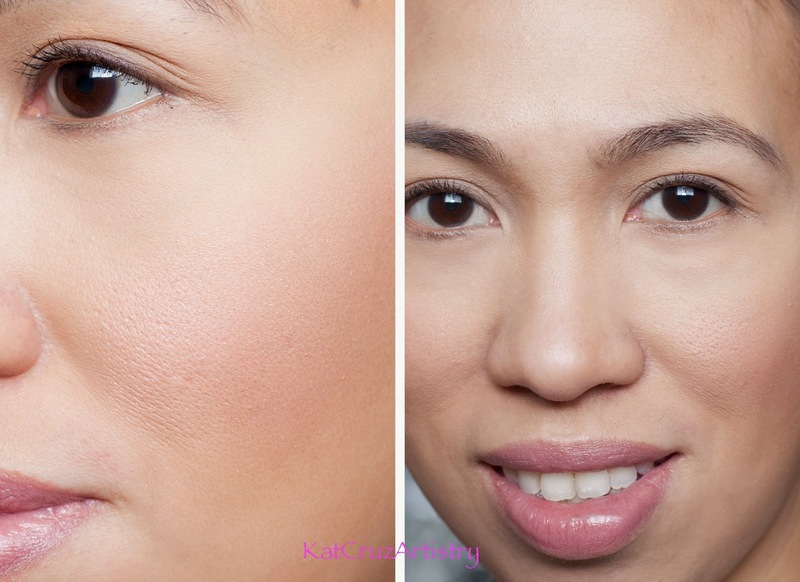 These techniques will definitely make your face appear defined and proportional if it's done correctly.